Sometimes you just need a Tuna Melt. You’ve had a big night, you’re feeling a little hungover, you’ve spent all your money on gin and tonics and you can’t be bothered to do any washing up…. 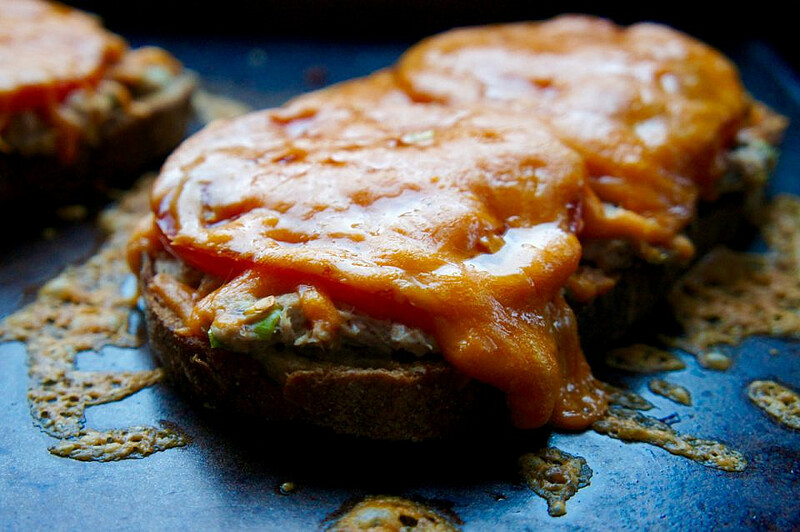 Tuna melt. Alternatively – you’ve spent the last week cooking elaborate Christmas food for your loved ones and you feel like you never want to see the inside of a saucepan again in your life. And no, you don’t want a salad. 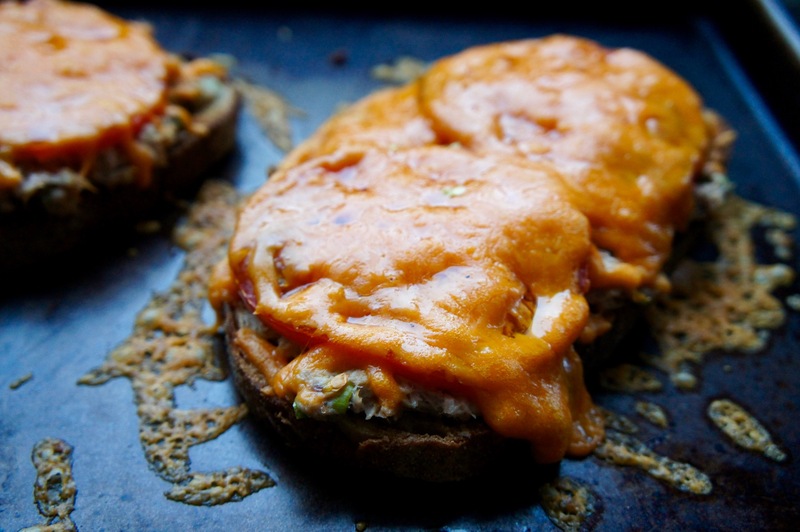 So… tuna melt. 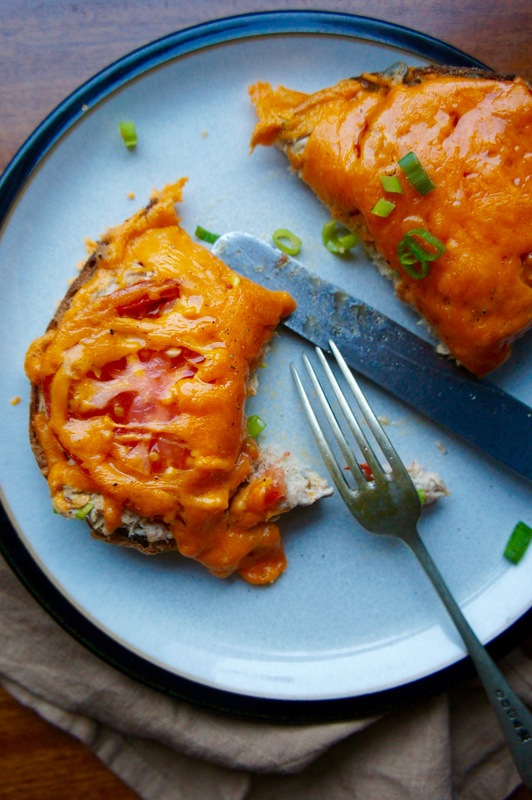 I have based this recipe purely on what I like in a tuna melt, such as orange cheese; capers; spring onions; thin slices of buffalo tomato and LOADS more cheese. 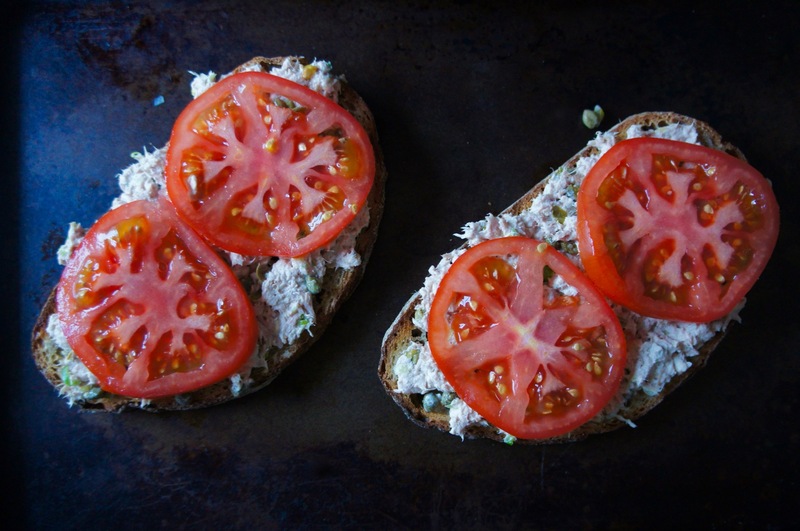 Bizarrely, the tuna melt I had that turned me from thinking “Hot tuna? No thanks” to falling head over heels, was at Joma Bakery in Luang Prabang, Laos. Since then it’s turned from a weird thing my friends eat into something I actually order in cafes. Then I realised, why not just make it at home? The trick is to use really good quality ingredients and you’ll end up witha big plate of cosy deliciousness. Preheat the oven to 200 degrees C. Lightly toast your sourdough slices. In a medium sized bowl, mix the tuna with the mayo, capers, spring onions, juice of 1/4 lemon and a good twist of black pepper. You may want a pinch of salt but taste it first as your ingredients are already very salty. 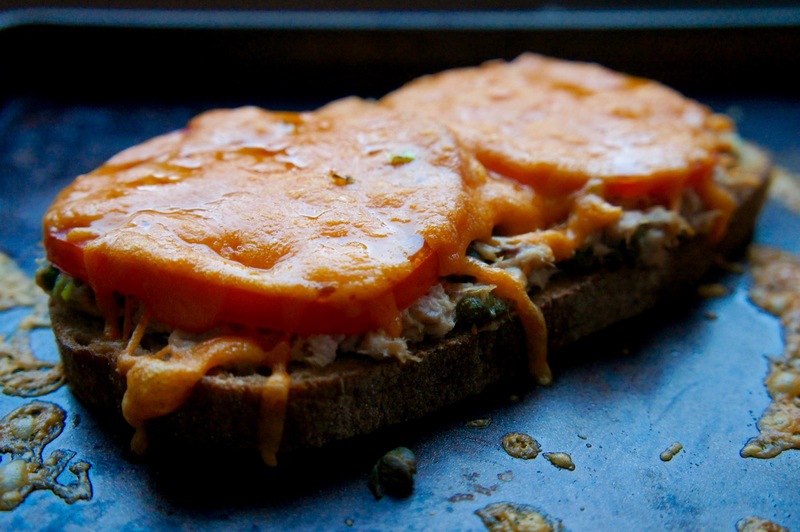 On a baking tray, pile the tuna on to the toasted sourdough slices so it goes right to the edges. 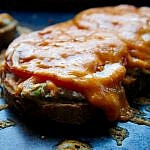 Top each slice with 2 or three thin slices of tomato. 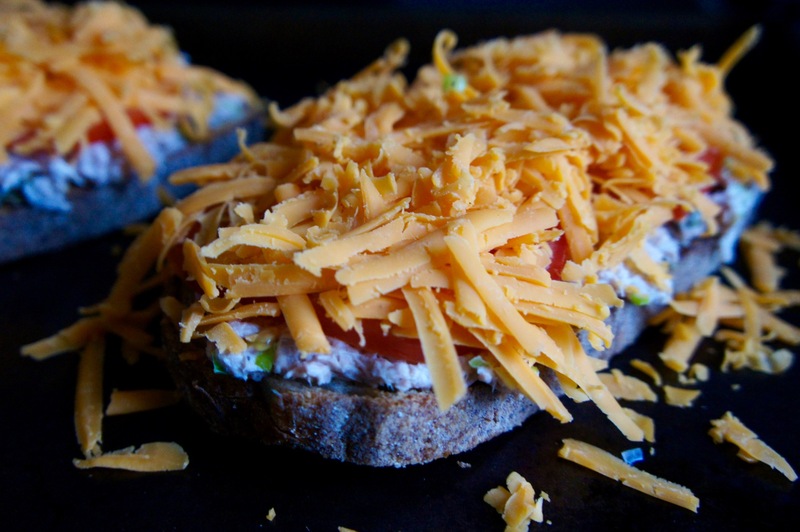 Cover with as much grated cheese as you can pile on, so you can barely see any tuna and tomato poking through. 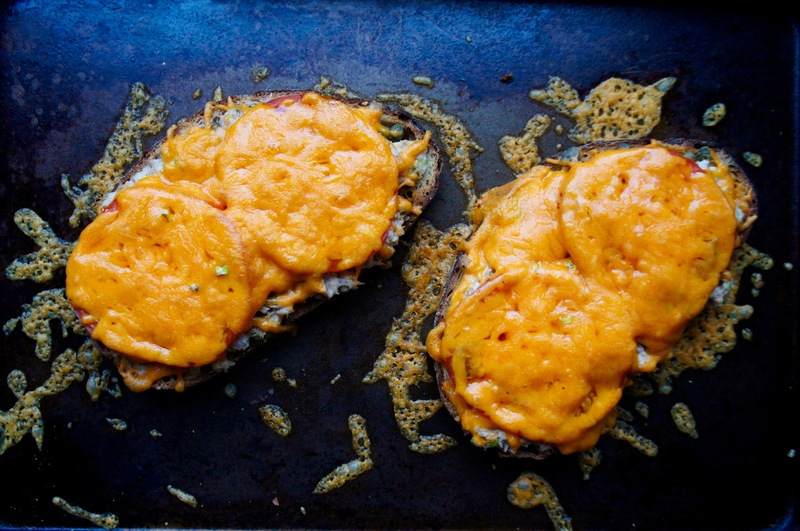 Put it in the oven for 10 minutes until the cheese has melted and the edges of the toast are crispy. Garnish with a few spring onion slices and eat hot. Leave the washing up for someone else to do. 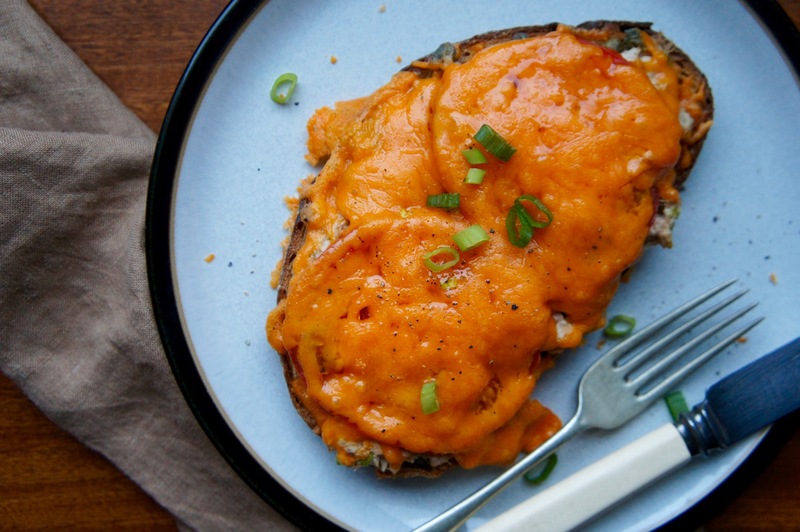 7 awesome pantry dinner recipes for when you don't have a meal plan.